Giftacrossindia.com has a combination of exclusive collection of assorted chocolates this gift item will definitely impress all with its quality and mix flavour chocolates. Enjoy the decadent combination of sweet and sumptuous dark chocolate with our unique dark chocolate mix flavoured truffles. These truffles are an chocolate lover_x0019_ s dream. Assorted chocolate is very delicious in taste are especially handpicked for our special customers. The chocolate has a very soothing taste and melting orange filling beautifully on the tongue. Chocolates are nice gift for any occasion. Every person prefer chocolates for the Birthday Gifts, Anniversary Gifts and many more as it is relishes by everyone. 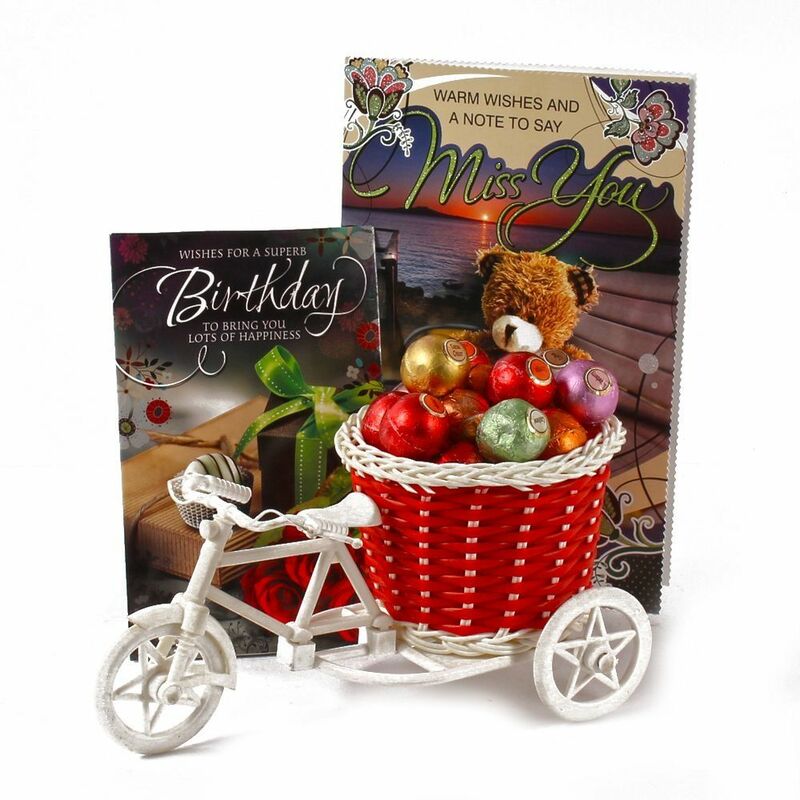 Assorted Truffle Chocolate (Weight : 200 gms) in a Bycle Basket, Birthday Greeting Card along with Miss You Greeting Card.